With a plethora of upcoming elections on 5th May, we are reminded that devolution of power and delineated boundaries in the UK since 1997 means multi-level political trends and outcomes within and between nations and regions: the EU referendum is no exception. We know that in the UK young people are more likely to support the Remain campaign, 60% compared with 54% of the Pre/Post war generations, and are less likely to vote than their elders, but how does this translate in a territorially rescaled regional framework? Politically the link between devolution and attitudes to the EU is most notable in Scotland where the SNP hold all but three seats and strongly advocate EU membership. While Scotland sits firmly in the Europhile camp, with 57% for Remain, and Northern Ireland not far behind at 56%, the Welsh population’s support is less certain with 41% for Remain and 37% to Leave. 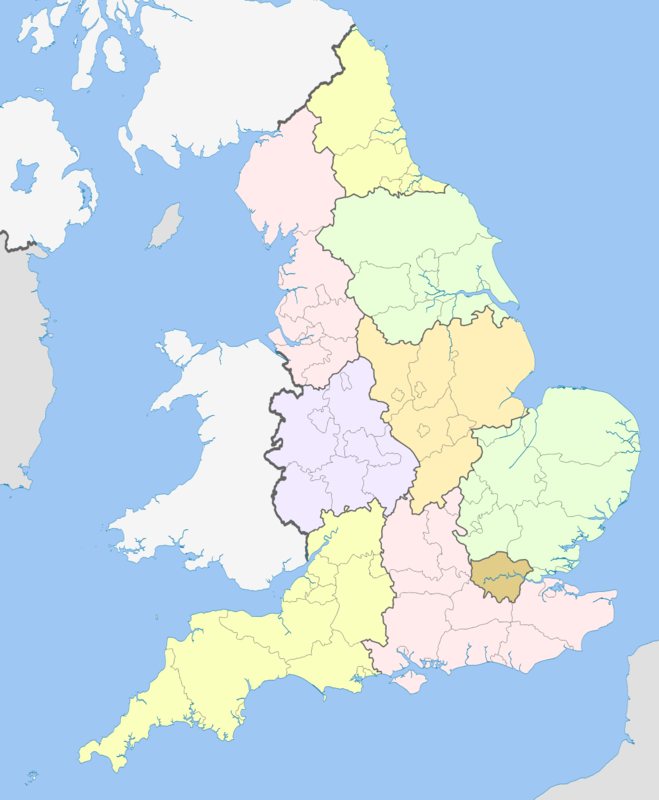 Last month a YouGov poll showed the most ‘Eurosceptic’ and ‘Europhile’ areas of the UK with the former top three in Havering, Peterborough and Bracknell Forest, all Conservative constituencies near London, and the latter in Ceredigion (Lib Dem), Aberdeen City (SNP) and Stirling (SNP), in Wales and Scotland. This blog goes further and explores regional variations in voting preference and likelihood to turnout between generations, excluding Northern Ireland. Among older generations those most likely to support the Remain campaign are based in Scotland, London, the South West and the North West. This pattern is different mong the Millennials where those most likely to support the Remain campaign are based in the South West, Scotland, the North West and Wales. While Scotland and the South West vie for top position in both sets of data, when applied to Millennials only Wales rises through the ranks and London drops. In addition the difference between the generations is notably less in Scotland than the South East reflecting the overall population’s favour towards the EU in the former. Those from older generations most likely to support the Leave campaign are based in the East of England, the South East, the East Midlands and Wales, consolidating the YouGov study with the exception of Wales. One possible explanation for the large number of Eastern regions supporting Leave could be the link between the current migrant crisis, the EU referendum and the proximity of these areas to the European continent. Conversely Millennials most likely to support Leave are based in the West Midlands, the East Midlands, the North East and London showing a slightly different trend. Older generations who don’t yet know which way they will vote have their highest representation in the South West, London, the North West and Wales. Millennials who ‘don’t know’ have their highest representation in Yorkshire and the Humber, the South West, the North West and Scotland. Despite a consistently higher level of support for Remain among young people overall, the varying gap between generations by region is notable; while younger supporters are most common in the South West of England, Scotland and Wales, this is not the case for older generations. The South West and East Midlands show the largest ‘generational gaps’ in terms of supporters for the Remain campaign, with far more young people wishing to remain than older people. However, the East of England and the South East have the largest generational gaps when it comes to voting Leave. Difference between generations who ‘don’t know’ is most evident in Yorkshire and Humber with Millennials much less likely to know which way they will vote than their elders. The most notable change in ranking among Millennials is the replacement of London with Wales as the location with the highest proportion of Remain supporters. While a decent proportion of young people in London wish to Remain, Wales comes higher depicting a young Welsh generation more supportive of the EU than their elders. Among non-Millennials those most likely to turnout to vote are based in Scotland (72.2%), the South East (64.5%) and the South West (63.9%). Among Millennials most likely to turnout to vote the highest representation is based in Scotland (65.9%), the South West (59.2%) and the East Midlands (57.4%). This shows a slightly different trend to older generations with the East Midlands rising and the South West falling in rank. As we can see above young people in the East Midlands are also fairly supportive of the Leave campaign, raising another potential problem for Remain campaigners – young people who support the Leave campaign could also be those most likely to vote. Older generations least likely to turnout to vote are most likely to be based in the North East of England (51.5%), the North West (44.0%) and the West Midlands (42.2%). Millennials least likely to turnout to vote are based in the South East (48.4%), the West Midlands (47.9%) and the North East (48.6%). While our earlier message stands, young people are more supportive of the Remain campaign and less likely to turn out to vote, regional variations shed light on geographical trends relevant to the respective campaigns. In Scotland, where the SNP has pledged to remain a member of the EU in the (likely) event of their election victory on the 5th May, we can see that young people are more supportive of the Remain campaign than both their elders and young people in all but one other region. This echoes the high level of engagement among young people in the Scottish referendum of 2014 and could relate to the wider issue of Scottish independence. In Wales the term ‘watching from the side lines’ has been used in an article by the Centre for Constitutional Change highlighting, among other things, the political distance between the National Assembly for Wales and the EU renegotiations by Central government. However, contrary to this the data show young people in Wales to be more supportive of the Remain campaign than other age groups in the same country and the majority of other regions, including London. This is an important distinction between younger and older people living Wales which as well as applying to the EU referendum, also links to the steady rise of UKIP in Wales, now with 16% of the vote according to the Welsh Election Barometer. Indeed the areas with highest support for the Leave campaign are also broadly those with the highest support for UKIP in the 2015 General election. The UKIP seat in Clacton is in the South East of England, location of the highest level of Leave supporters in this study. However, the South East also has one the highest generational gaps with far fewer young people than older wishing to Leave. Two points of concern relating to geography are raised in relation to this, firstly as noted above, the support for Leave is highest on the East coast of England which in turn is closer to the European continent and the Ports through which migrants enter the UK. The South East and London also have the highest numbers of migrants according to the Migration Observatory’s most recent study. Given the evidence for a link between migration and voting preference for the EU referendum (see above) this geographical trend is notable. Secondly, the South East of England also has an older demographic than all other parts of England according to the ONS with a lower proportion aged between 20 and 34 than across the UK as whole. However, the young people in our study based in the South East are far less likely to support Leave than their elders implying that age overrides geographical location in terms of voting preference. Making the youth vote stand out in this context. Millennials based in Labour-led regions are those most likely to vote Remain with the exception of the Conservative-led South West. However, the largest city in the South West, Bristol, had a younger demographic and is Labour-led, which could explain this anomaly. We know young people who ‘don’t know’ are particularly important for the Remain campaign given the tendency among the group to support Britain’s EU membership. However, this importance increases in light of fact that Millennials who are most likely to vote Leave are also based in areas where the same group is most likely to turnout to vote, creating a new problem for the Remain camp. Finally, the fact that the highest representations of Millennials who ‘don’t know’ is in Yorkshire and Humber is an important consideration and one which can be explored further through more in-depth of the potentially influential territorial characterises of UK regions. In short, this broad portrait of EU referendum trends among young people becomes considerably more complex when taking geography into account leaving much to be explored, not least possible explanations and links with devolved May elections. In the European Union alone is supporting the campaign stays up to 60% compared with 54% in the post-war generation.